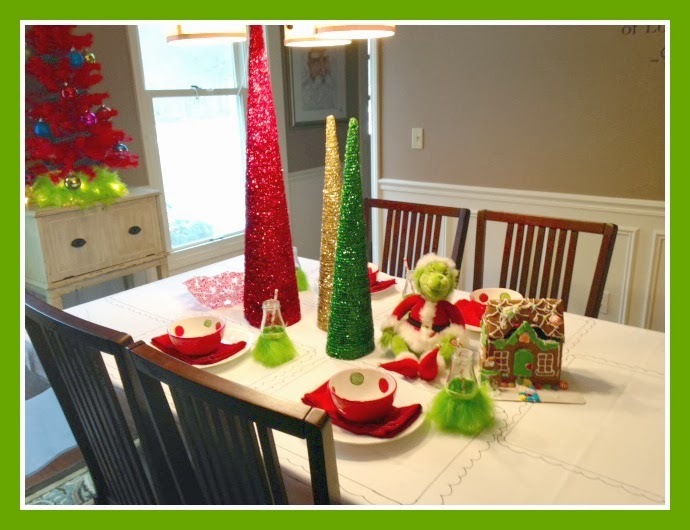 Welcome to my "Grinch" Dining Room. I love and adore beautiful Christmas table settings, but let's be honest... when you have two kids, that's not going to happen. HAHAH!! And I don't mind one bit! 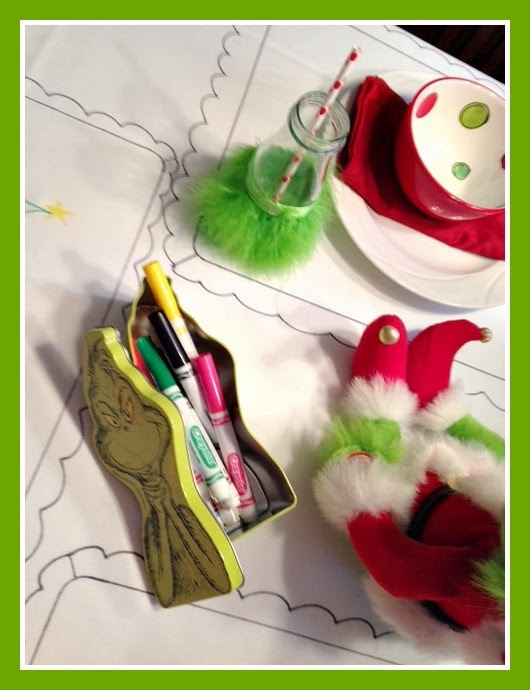 This year I opted for a Grinch Room. It is fun, bright, cheery, and kid friendly. 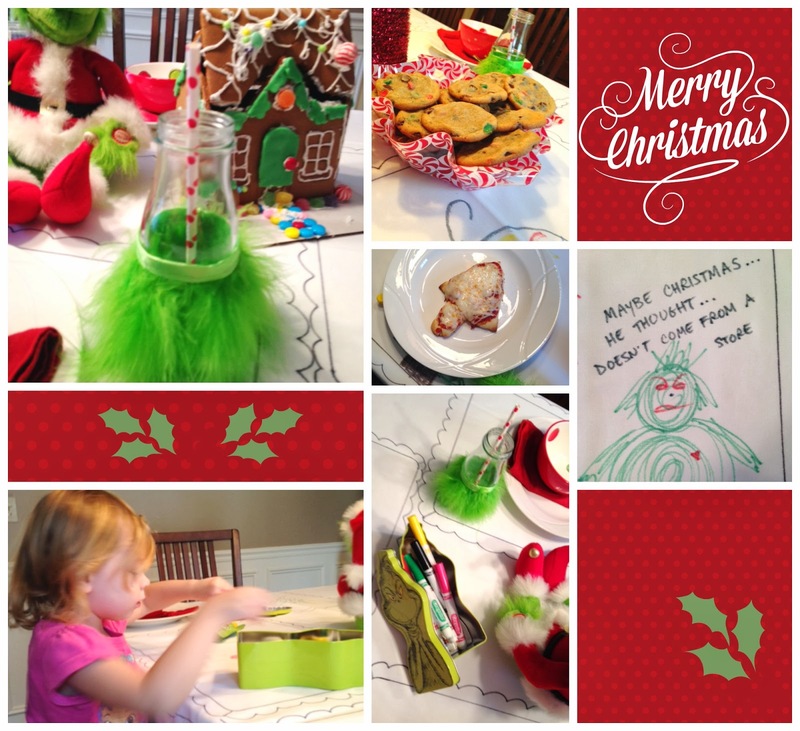 We are not the type of family that eats at our dining room every night, so I purposefully planned a special lunch to use our Grinch setting. One the menu: Pizza Trees, Green Applesauce, Green and Red Peppers, and M&M Cookies!! 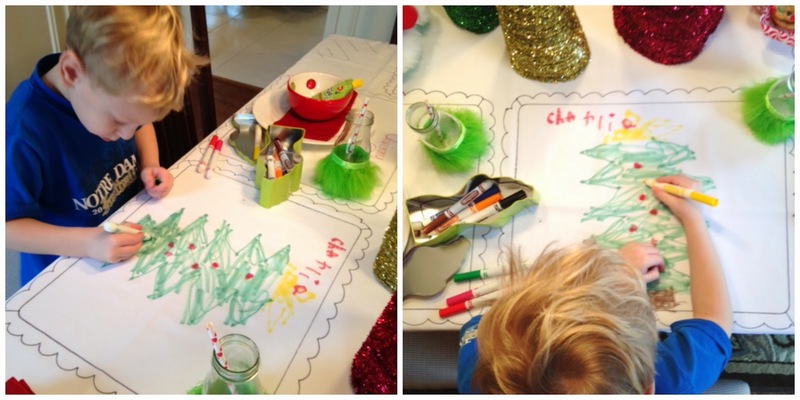 As you can see, the kiddos are coloring on the tablecloth and that's exactly what they were supposed to do!! I used a white tablecloth we had and drew placemats on it with a Sharpie Marker. 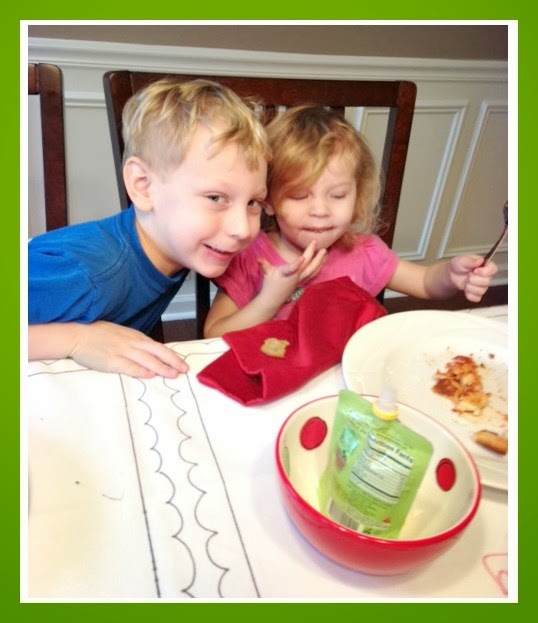 The kids used Washable Markers to draw names and masterpieces. I can was it and the drawings will disappear, but not my setting. Charlie really got into it. Quinny more more concerned about the cookies. HAHA!! That girl and her sweet tooth! Once she saw big brother's, though, she added a little pink to her place. To make the Grinch glasses I just used Starbucks glasses, polka dotted straws (Michaels), and green trim (Michaels). I just hot glued the trim onto the glasses. Super cheap and easy. Another view from my side of the table. Merry Christmas and Happy Holiday from my family to yours!! Keep Calm and Flourish On! Are you one of those who have not started Christmas shopping?? If so... I've got you covered. 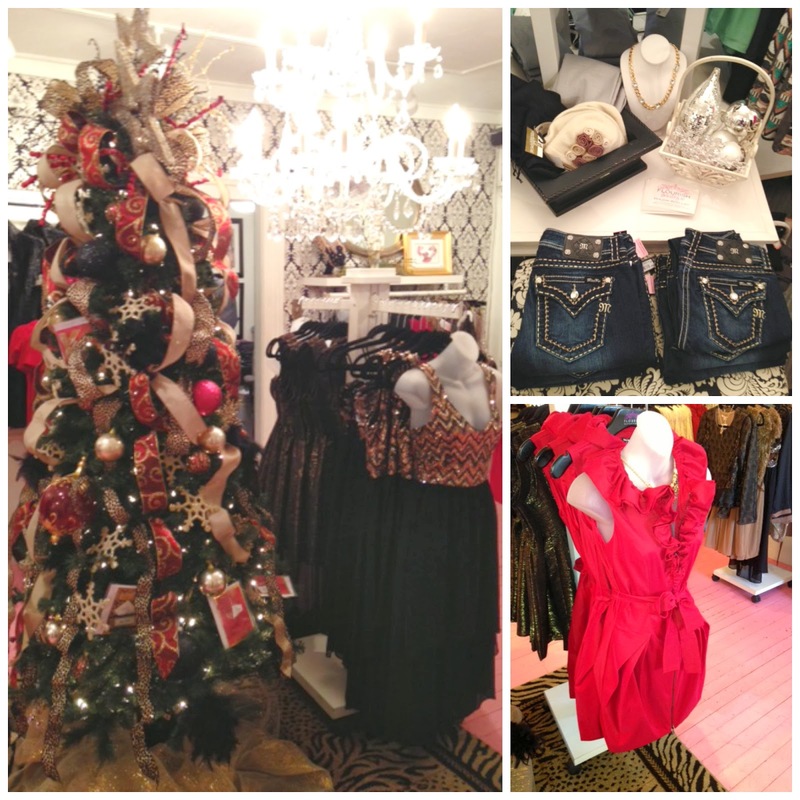 FLOURISH BOUTIQUE in Granger is the place to go for all of your last minute shopping needs. They have present options for as low as $5.00! 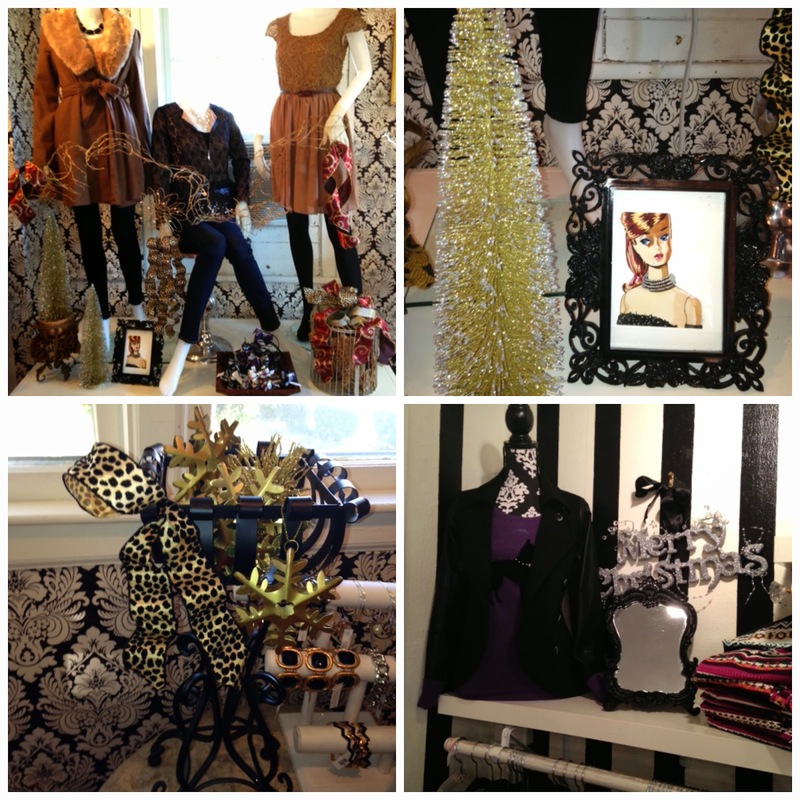 They even have a clearance room, yes ROOM, that includes pieces from designers: NYDJ and Ya. Come with me on a quick tour of the store. It is decorated like a winter wonderland with pops of color everywhere. Today ONLY.... Miss Me jeans for $70.00! That is a steal!! The Lady in Red Dress is one of my favorites!! It is even more gorgeous in person. Who doesn't love fur?? When I was 5, I asked for a fur coat, a gold purse, and diamond earrings! Bahahah!! I had two fashionistas as Grandmas! Believe it or not I did get a fur coat (not real- don't worry)!! And yes, I bought the Cinnamon Coat with Fur Lining for myself for Christmas. I hinted to the hubby, but a girls gotta have what a girls gotta have!! Need stocking stuffers? FLOURISH has you covered. What girl doesn't want jewelry in their stocking? Ummmm this one does!! 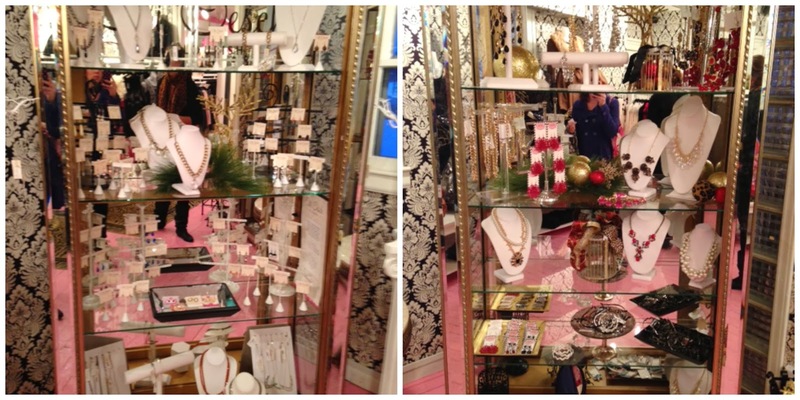 Check out the gorgeous displays of jewelry. This is just half of their selection. Here are a few of "My Favorite Things." I know it's not the best pic, but hey, I'm a furniture blogger. I'll work on my selfies later!! 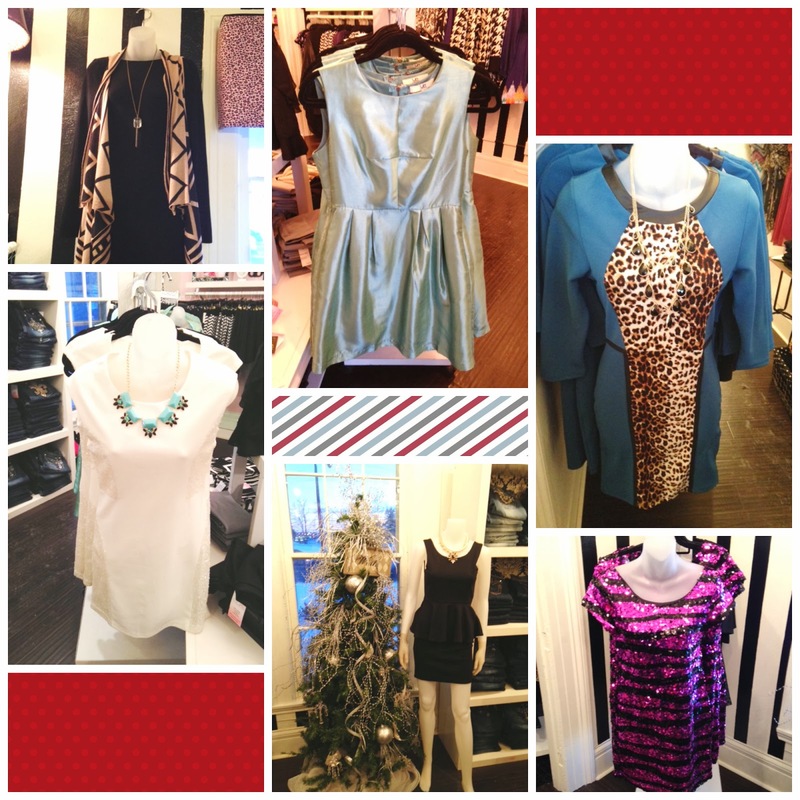 Head on over to FLOURISH BOUTIQUE. First time web customers get an extra 25% off! And if that's not enough... now through Sunday, it's buy any 1 item, get the 2nd 1/2 off! (Web code: BOGO)! Go BOGO and Go FLOURISH! So my sister lives in this cute little house. She has been making her house a "home" for a while now, but she couldn't quite put her stamp on the guest bedroom. Finally, she threw her hands up in the air and just said, "Do it for me, but don't spend too much!" I gladly took the job (with the help of my mom) and got to work. My mom might be thriftier than me so I definitely needed her as my right hand woman. Here is a panoramic view of the room! Her one request besides not spending too much was to make it "Irish" themed. The only pieces she had in the room were the futon and white dresser. 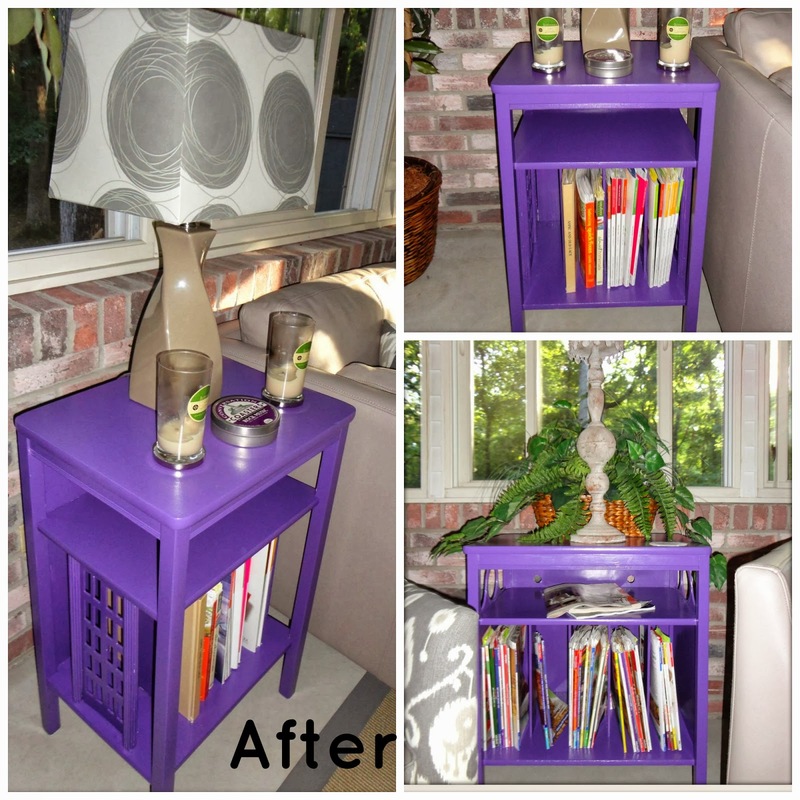 The rest we found, painted, and created for less than $200.00. So here's what we did. As you walk in the door... to your left is a small collage of frames. 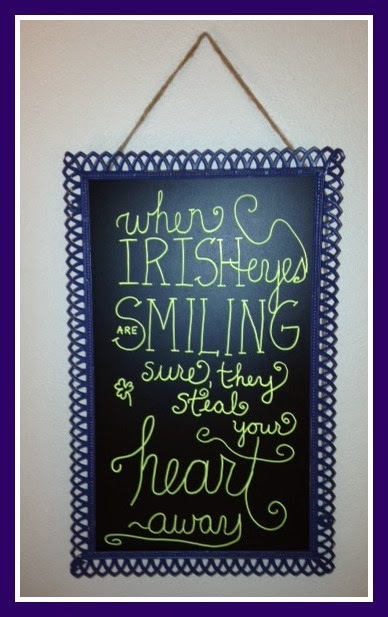 We purchased "The Doors of Ireland" online and bought a frame from Michaels (50%). 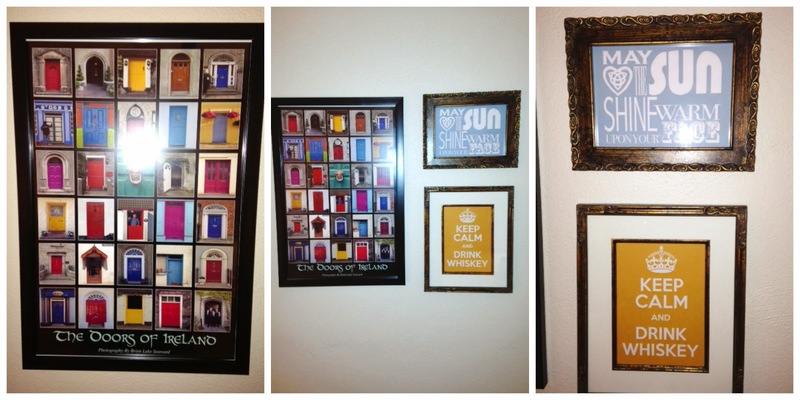 The other pictures were printables I found on Pinterest. She already had the frames. The focus wall is my favorite. 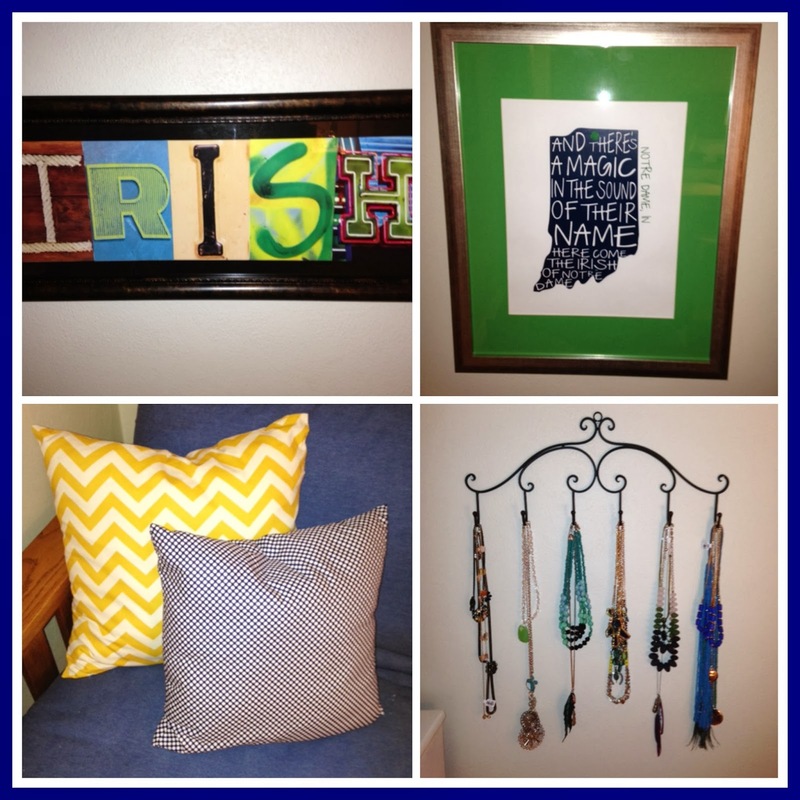 The state of Indiana/Notre Dame Song was purchased on Etsy and framed at Hobby Lobby. 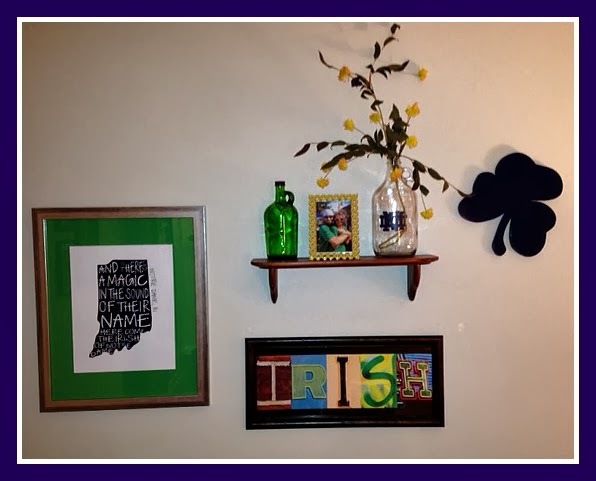 The two jars (green and ND) were found at TJ Maxx, the shamrock was done by a local artist, the shelf was found at a garage sale for 2 bucks, and the IRISH art was purchased at Hobby Lobby. We bought one of those frames that says, "Pray" and then bought the individual letters I-R-I-S-H and placed them on top. It was cheaper than buying a matted frame. My sister found this dresser at an antique shop for about 20 bucks. It had some simple brass handles on it, but a quick swap for some new handles and waaaalaaaaa!! Here's a closeup of my favorites. Pops of color everywhere. My mom made the pillows, too! She just used some old pillows and recovered them. Much cheaper than buying new! Jewelry as artwork?? Why not?!?! You'll wear it more if it's out in the open. That's my take on it anyways. :) We bought her two of them from Hobby Lobby at 50% off. The vanity was my big portion for the room. 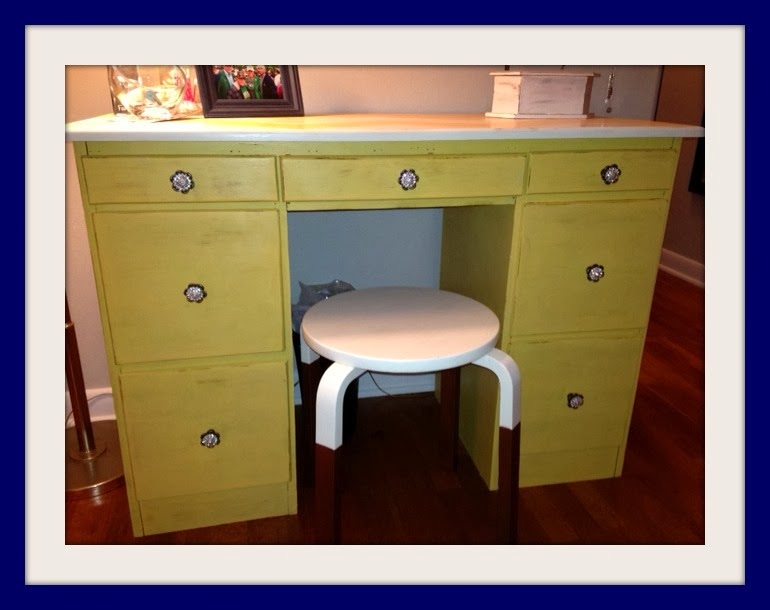 Believe it or not, this desk was MY changing table when I was little, then used as a desk in my big girl room, then as our "teacher desk" in our play room. Now it is a vanity!! The mirror was found for 5 bucks at a garage sale. The stool was also 5 bucks at Goodwill. 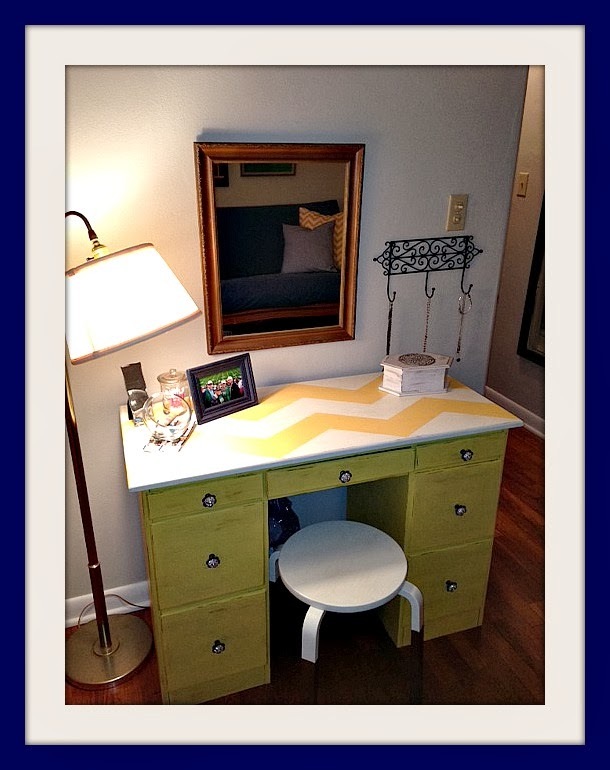 The desk was time consuming because of the chevron, but so fun to do. I really antiqued this one to tone down the yellow. Even the top is antiqued and distressed. Here's another pic of the top! The knobs are my absolutel favorite. What girl doesn't like bling?? 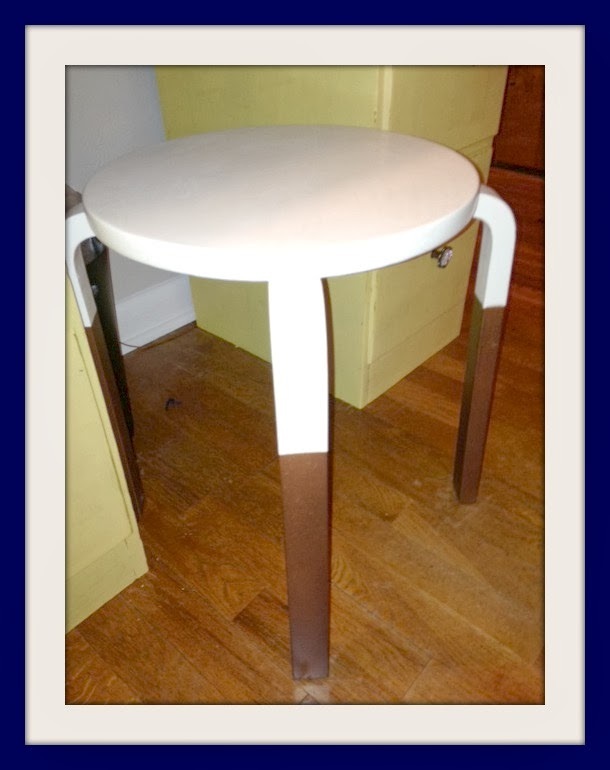 Here's the updated stool with bronzed legs to match the knobs. My mom and I had so much fun putting this room together. She (my sister) was quite pleased as well. It is the perfect space for a guest, a place to get ready for the day, as well as a perfect spot for a kitty to lounge. I'm still waiting for my sleepover invite!! 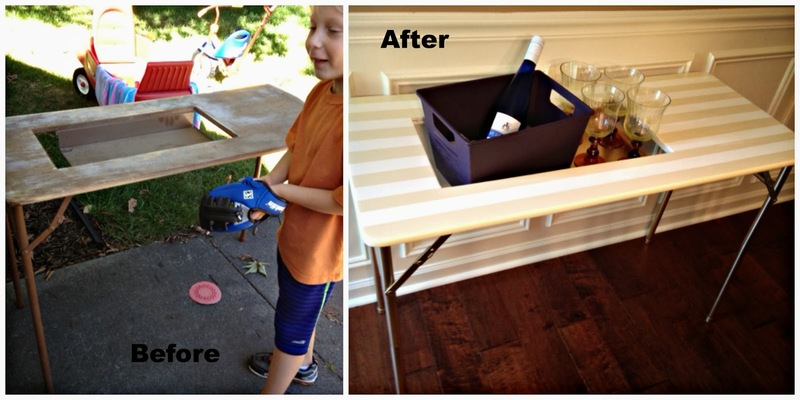 This DIY does come with some tears.... just to give you a heads up. The handsome man pictured below was like a brother to me. 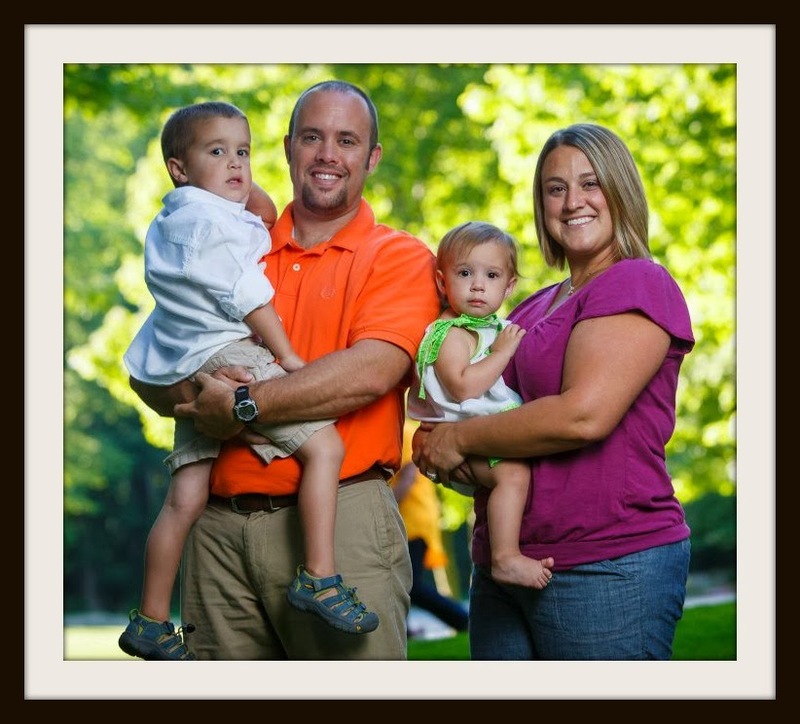 He recently passed away from a long, but heroic battle to Cystic Fibrosis. Jonny and his family are still very dear and close to my heart. Even though he is gone; I feel his presence with me every single day. I have felt his aura even more lately during this beautiful holiday season. Christmas was Jonny's favorite holiday ever. He loved the decorations, time with family, and of course the presents. Oh and he took pride in making the silliest Christmas cookies in the house. 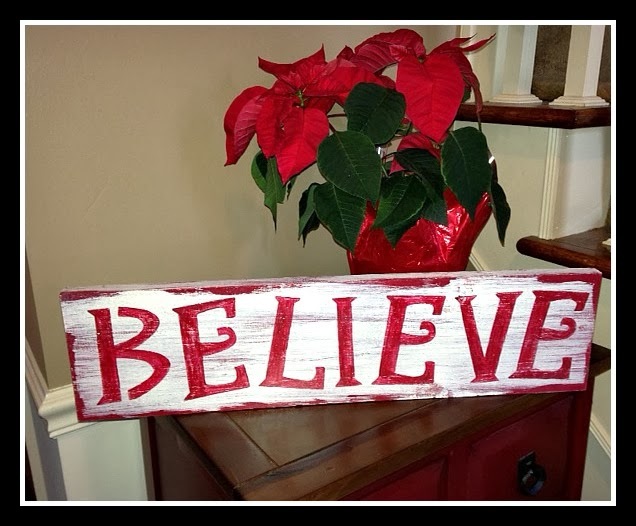 A few weeks ago, Johnny's mother had asked me to keep my eye out for a "Believe" sign. I know they are everwhere, but she had her heart set on a certain one that she had seen a while back and could no longer find. I decided I would try and recreate it! I was honored to do it. It may sound silly, but I really felt like Jon was with me in the room while I did it. At times I even caught myself smiling just thinking about him. 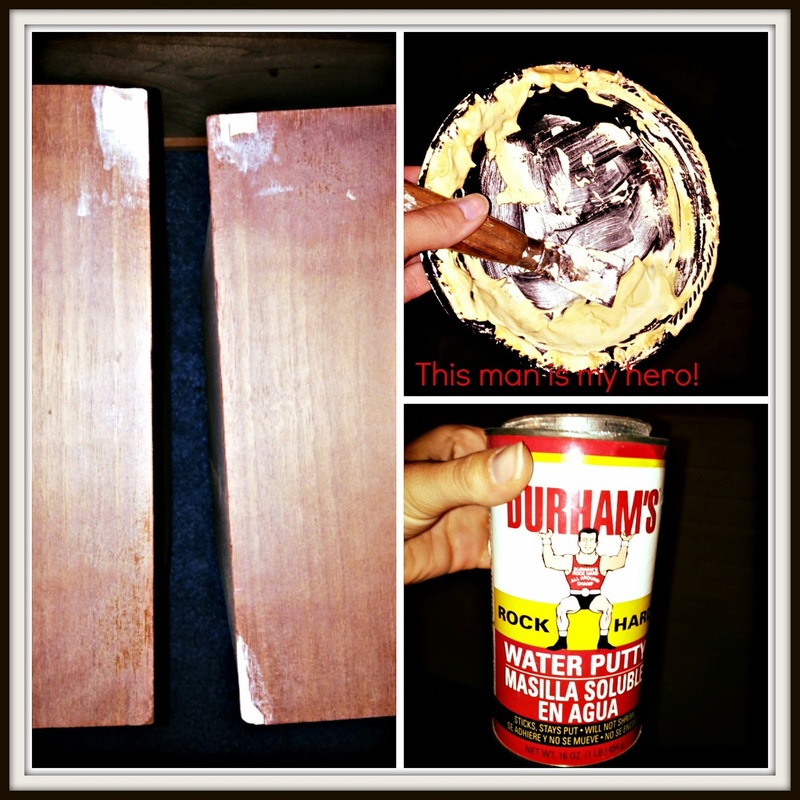 In the first step, I simply sanded the wood, painted the board red, and let it dry. 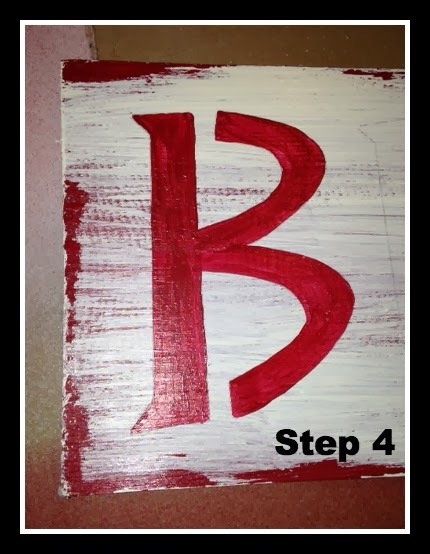 Step 2 is where I used the Vaseline. I just put it on the edges and in a few spots where I wanted it to look distressed. 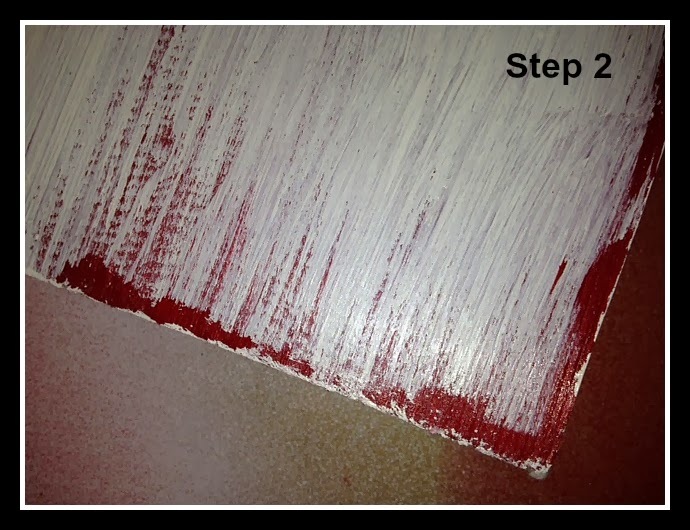 I then covered the red paint with the white paint. This is so cool- wherever the Vaseline was placed, the paint did not adhere. Once both the red and white were dry, I took a paper towel and wiped it down. The white paint and Vaseline mixture came right off. Cool huh? This is a huge secret to distressing. I traced the letters onto the wood with a pencil. Easy! 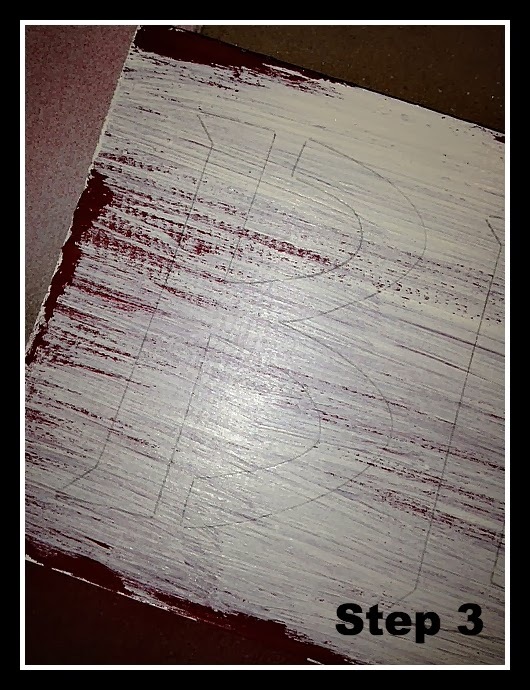 And then I painted inside where I traced with the same red paint. I loved the way it turned out, but it was too perfect! That's where the sandpaper came back in. I simply let it dry and then sanded with my sand block. It needed just one more thing... GLITTER!! I sprayed it with glitter, let it dry, and then sprayed it with polyurethane to seal it. The next day I put the hanger on the back and that was that! I know Jonny "believed" in the magic of Christmas. Do you? 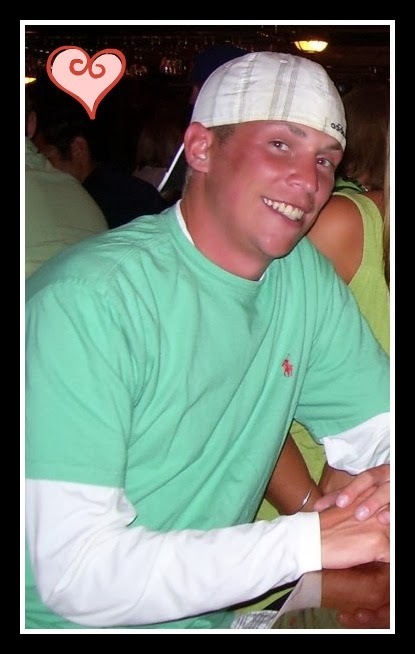 Jonny, I love and miss you. 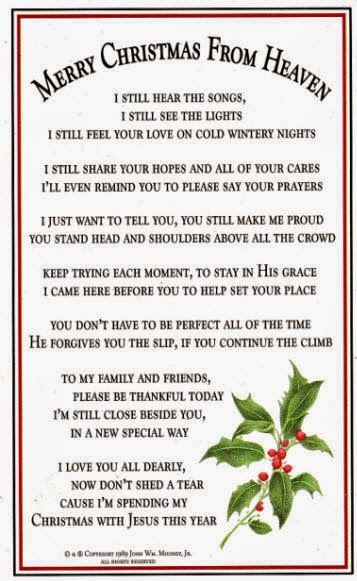 Sending you lots of hugs and kisses to Heaven. I know you are with me every single day. This is certainly a project anyone can do. The only thing holding you back would be the super cold weather right now. I was lucky and had a pretty nice afternoon. You could spray paint in your garage, but this spray goes everywhere so I don't personally suggest it. All you need is a tarp, tree, and some spray! I purchased my tree at Big Lots for 18 bucks. I removed all of the lights first. You cannot spray your tree with the lights on or the lights will be turned whatever color you decide to spray your tree. 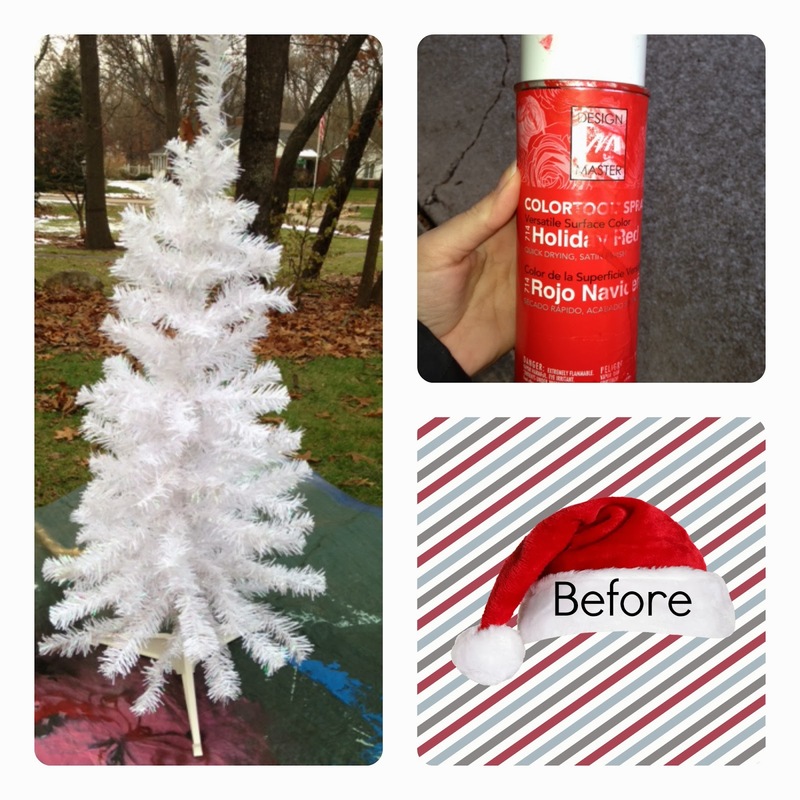 Next, I sprayed my tree with the "Colortouch Spray" from Michaels. You have to use this spray. This is the only spray that will adhere to the needles. I used two cans to completely cover my 4 foot tree. Remember less is more when spray painting. I let it dry overnight. As you can see, the spray took very well on my cheapo tree! I love the way it turned out. I decided not to put the lights back on because they were white on white and it stuck out like a soar thumb! 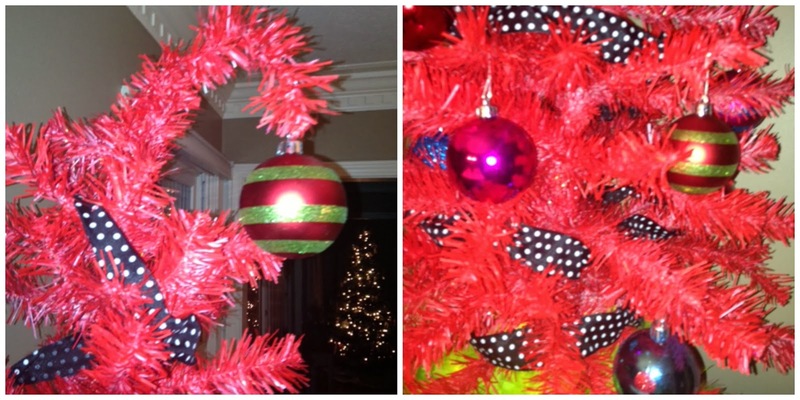 Instead, I wrapped my "Grinch" inspired tree with a green feather boa and lights. It gives it a really cool effect! Isn't it perfect? I already had the polka dot ribbon... so I used that for garland. I bought the funky ornaments at Target and that's all it needed! There you have it! 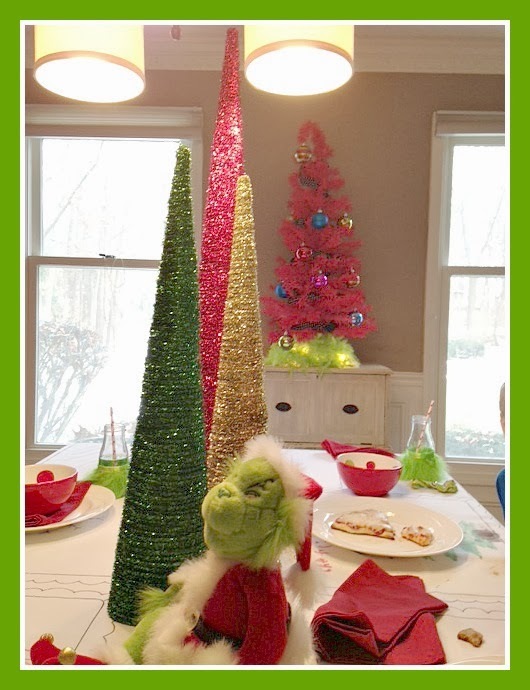 This is just one DIY piece in my "Grinch" dining room. There is more to come. Stay tuned!! Happy Tailgate Season Everyone!! That's exactly what I had in mind when I purchased this piece. I wasn't sure about color on this one. That's why I asked my fellow followers. The legs were brown. I hated them, but wasn't sure if I painted them that they would fold back up. I took the plunge. I went with gold. A good friend mentioned doing cream and beige stripes... and that's the makeover she got! I primed it twice, painted it cream twice, and then added my Froggy Tape and painted the untaped with the beige. I'm not gonna lie... I was amazed at the transformation myself. The piece is still not perfect, but you know me. I love imperfections. The inner part has a few marks that make it look like gold leaf. LOVE! Here's a painting tip for you: instead of having to clean out your paint pan just line it with foil. Let it dry and then toss it!! They even have the single sheets at The Dollar Store! Less cleanup is a must!! My little wine bar. There's plenty of room for an appetizer, too! One more look of "The Swan." This piece and many more will be at my Open House!! I hope to see you there!! About a year ago at this time... I started Copycat-Design! Time sure flies when you're having fun!! I have been so very busy and I love every minute of it. Thanks to my followers for all of your love and support! I can't thank you enough! The inspiration for this purple color??? An ombre shag RUG! Aren't these adorable. This POP of color is exactly what this room needed. How can you go wrong with gray and purple? Ohh how I would love to have a four-seasons room. These pieces were pretty easy... NOT!! I did sand, prime, prime, paint and paint (like usual), but the slats on each piece were very hard to paint as well as the detailed lattice on the sides. These did drip a lot, too, but I used a small brush and was very patient (or tried to be hahah). On hard pieces like these, the trick is to start from the inside and work your way out. A lot of people ask me if I paint the backs of my furniture pieces... my answer... If it looks rough or you think it might be seen from a certain angle... then YES! It just looks like a more finished piece when the whole thing is painted. Aren't they pretty in purple?? I love them!! These were perfect for the home owner. She collects more books and magazines than anyone I've ever seen!! Short and sweet tonight, folks! Sorry! I am painting every night until the show!! Well, this family of four is growing again! In just a few short weeks baby #3 will be here!! Boy or girl?? 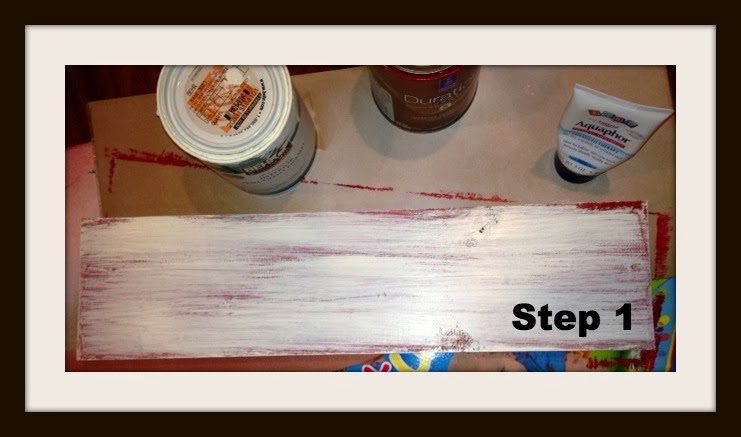 No one knows... but for now this mama knows exactly how she wants her nursery to look. 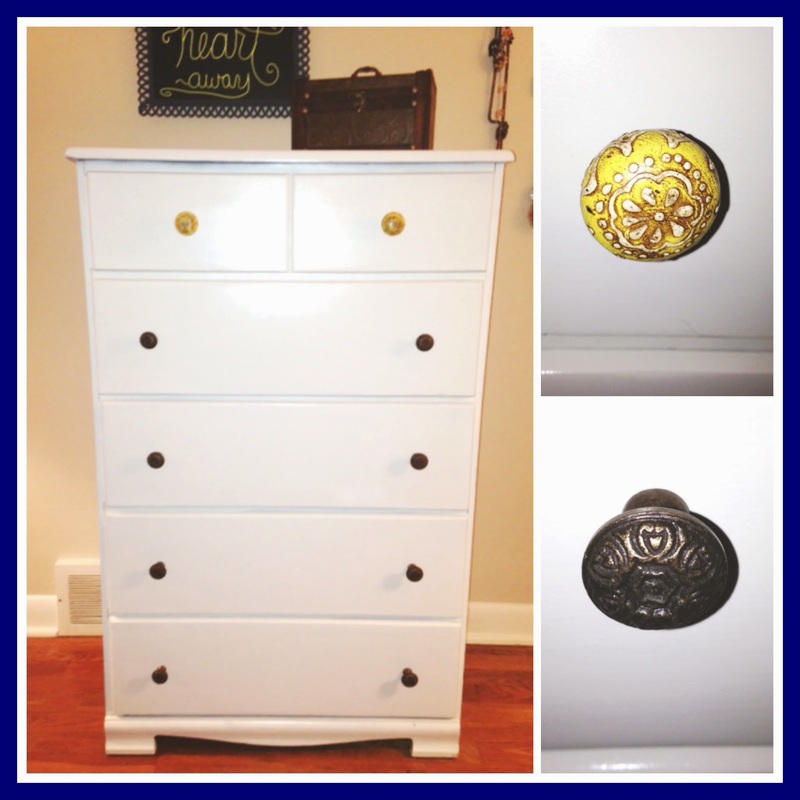 About two weeks ago, Molly contacted me to find a tall and thin dresser for her and stat! I found this dresser ( I think that day - hey, when I'm given a job I get it done! ). It was 40 bucks on an online garage sale site and it was well worth it. Sure, it had a few issues ( as all old pieces do ), but look at the shape and the details. Plus, I love how the double doors open!! Here is a closeup of some of the drawers. A few of the corners needed to be filled and this man was the secret. A small amount and some water and I was all set. 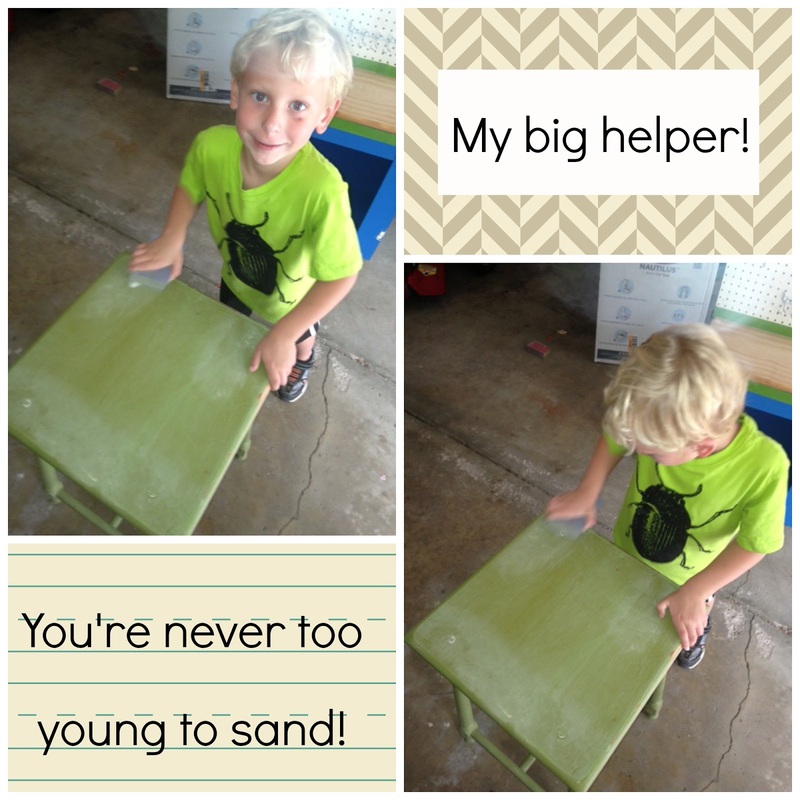 Let it dry and sand! Look at the change already. It just looks alive here. This is where I struggled. I was sent a pic of what Molly wanted for the chevron. 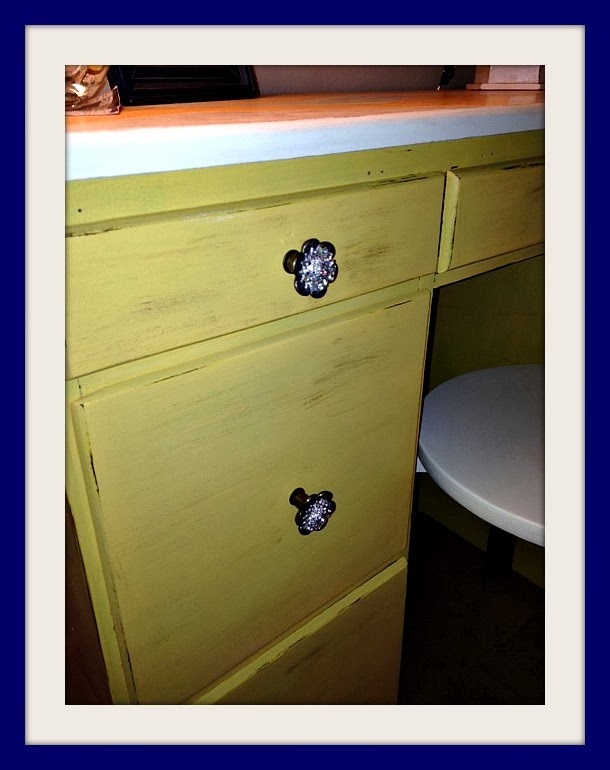 However, the pic was on a different size dresser and all the drawers on the piece were the same size. If you look close, the doors below on top are much larger. I stared at this white thing for about 24 hours. I finally called my dad to help. Chevron is not hard ( it is all Math), but the sizes were really throwing me off. My Dad, the Master, came over, did a few measurments, and just started taping it off!! He is awesome. In about an hour, it was ready to be painted. Sorry about my laundry in the background bahahah!! When you use tape for a project, make sure you use Frog Tape ONLY! Really use your finger nails to push down on the sides. I rolled all of the drawers twice. I pulled the tape off after about 15 minutes MAX. DO NOT let the tape sit. I had minor touch ups!! VOILA!! Because the handles are a special size, Molly decided to just reuse them and spray them a silver metal. Isn't it just perfect against the charcoal gray walls??? And the owls artwork!?!? If you know me, you know my love for owls! I think the dresser looks quite at home and ready for some new baby clothes!! I can't wait to see more pics of the nursery and of course pictures of the new baby! October 3rd will be here before we know it!! Congrats to the cutest family around! Although green is my favorite color... this color green... not so much. My dear friend, "Uncle Larry," asked me to give this guy a makeover. It has a unique story behind it. This was Larry's mother's table. He painted it for her years ago. He was quite proud of it, too. Unfortunately, it was time for a little freshening up... and that's where I came in. It was a pretty easy process really. The piece itself is amazing. The top was very shiny so I did have to sand or, well, Charlie did! Hahah.... he always wants to help me. 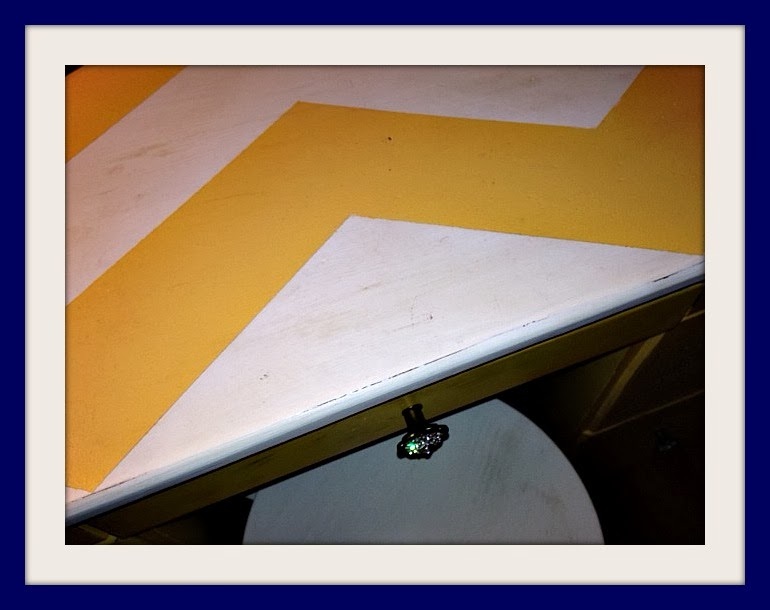 I really wanted to keep the memories of this table somehow even though the plan was to paint over it. Make sense?? 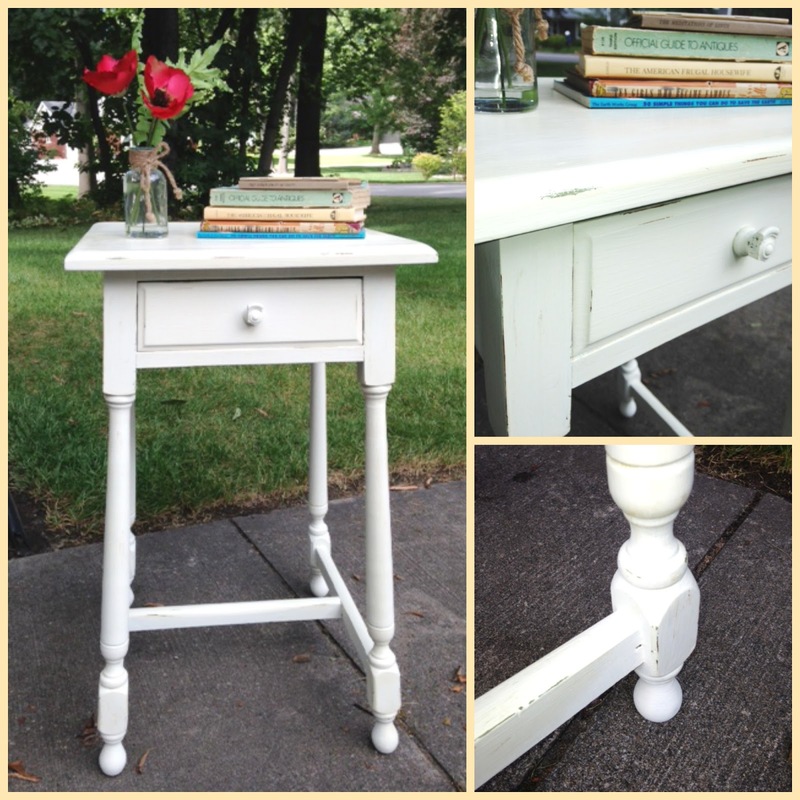 Let me explain: I chose a Behr classic white and mixed it with Webster's Chalk Paint Powder. I wanted the green to show through a bit, so Larry could remember what it used to look like. I sanded it with sandpaper in the areas where the table would be most worn ( edges, sides, etc...). A hint of green showed through perfectly. 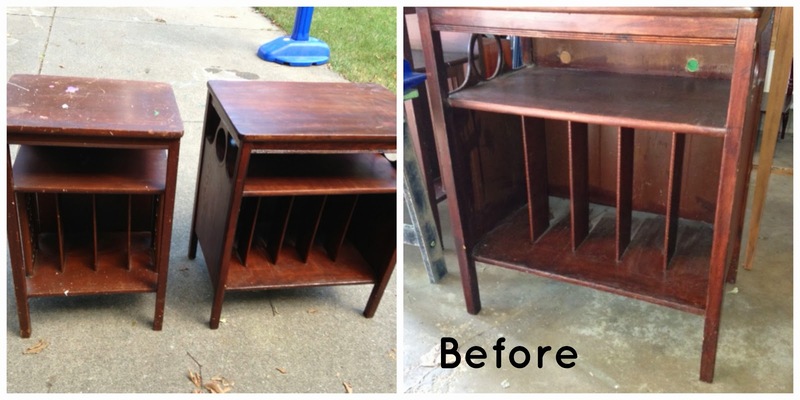 I sealed it with a little brown wax and a lot of clear wax to keep that old, antique feel. Larry gave me specific directions to NOT replace the knob. He said it was his "mom's thing." Therefore, I did not touch it. I love it just the way it is! I think the new piece looks fresh and clean, but still has noticeable memories!